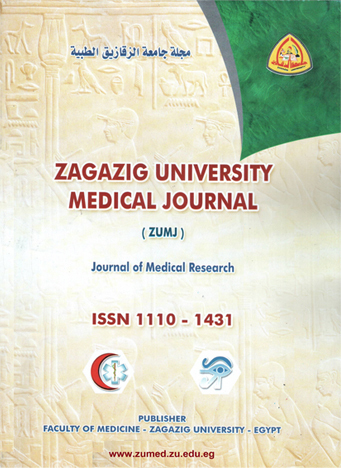 1Department of Histology ,Faculty of Veterinary Medicine, Zagazig University, Zagazig, Egypt. 2Department of Pathology, Faculty of Veterinary Medicine, Zagazig University, Zagazig, Egypt. Background: Nowadays, the widespread use of sugar substitutes coexists with the rise in the percent of the population who are diabetic or dieting. Materials and methods: thirty adult male New Zealand white rabbit were randomly divided into three groups, ten rabbits each. The first group was given distilled water. The second group was given aspartame in a dose of 125 mg/kg bw/day for six months. The third group was given aspartame in a dose of 250 mg/kg bw/day for six months. Blood and liver tissue samples were collected and processed for enzymatic analysis. Other Liver tissue samples were collected and processed for light and electron microscopic examination. Aim of work: This study was designed to investigate whether the long-term administration of aspartame induces hepatocellular injury in rabbit. Results: revealed that aspartame administration in a dose 125 mg/kg b.wt did not significantly increase the levels of aspartate aminotransferase (AST), alanine aminotransferase (ALT) and alkaline phosphatase (ALP) in serum and did not significantly change the activities of glutathione peroxidase (GPx) superoxide dismutase (SOD) and catalase (CAT) while its administration in a dose of 250 mg/kg bw/day significantly increased the levels of AST, ALT and ALP and significantly decreased the activities of GPx, SOD and CAT as compared to the control group. The histopathological examination showed that Long-term intake of aspartame induced hepatic cell injury (vacuolar degeneration, hydropic degeneration, fatty change) with different degrees of apoptotic, necrotic and inflammatory changes. Conclusion: it could be concluded that moderation is the key with chronic aspartame consumption and even the acceptable daily intake can cause hepatic cell injury.